New year, new focus on shiny new diets with the promise of transforming all the bodies that went soft over holiday binges. In 2018, it was all about Keto and the Dubrow Diet. No, those aren’t going away. But 2019 also brings an array of new diets you’re about to hear a lot about. 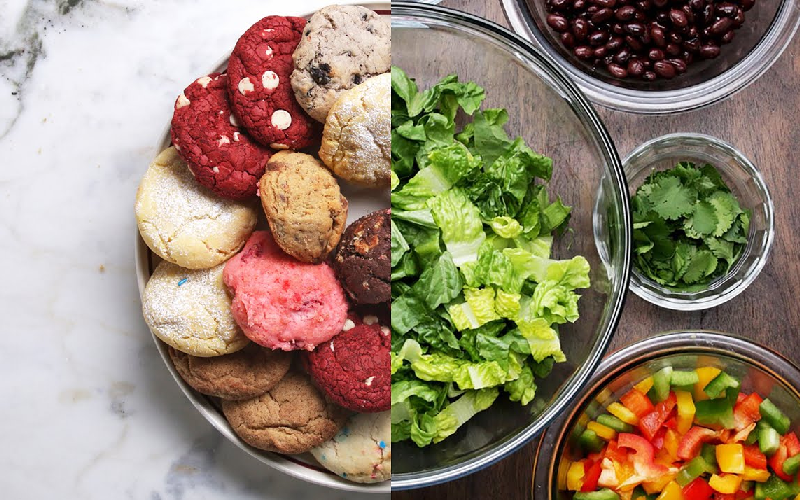 We’ve connected with nutritionists, food bloggers, and other experts to bring you our estimation of the top diets of 2019, including up-and-comers and established trends. Here’s what they are, and why you want to know. “Mushrooms are intrinsic to a healthy ecosystem on both a global and microcosmic scale. They have so much to teach us and we’re just scratching the surface,” says Luke DeStefano of Rhode Island-based Moonstone Mushrooms. The evidence supporting the medicinal nature of mushrooms is quickly accumulating these days. With mushroom-based businesses picking up speed, expect to see healing mushrooms in coffee and other drinks, in capsules and powders, and incorporated into recipes more frequently in 2019. Each mushroom is unique in what it offers and we still have a lot to learn, but some you’ll start seeing a lot of in the coming year include chaga, reishi, turkey tail, lion’s mane, shiitake, and maitake, among others. Although mushrooms have been used medicinally for thousands of years, you know the mainstream will start talking more about a thing once Gwyneth Paltrow is selling it in protein powder form. If you’re not yet familiar with the Keto diet — first of all… who even are you?! Anyway, the baseline idea is to put the body in a state of ketosis and to keep it there. This is done, in part, by nearly eliminating carbohydrates. The aim is to have only around one percent of the food eaten be a carbohydrate, and usually those carbs come from low-carb vegetables. The diet isn’t new at all. It was originally developed nearly 100 years ago as a way to help reduce the symptoms of epilepsy in children. It’s been steadily gaining traction over the last several years though as a way to lower the number on the scale. We heard about it plenty in 2018 and the diet’s popularity isn’t looking like it’s going to fade, especially not with an endless parade of celebs on board. Though this diet is touted for actually working in terms of weight loss and lowering inflammation levels, it’s not going to be sustainable for a lot of people. Denzel warned that this diet can be dangerous for some. “It creates a mindset that certain foods are good and others are bad, and that can feed a disordered relationship with food.” Because of that, it might not be the best choice for a person who has a history of disordered eating patterns already. Vegan diets have been a thing for decades and longer in niche communities — but by 2019, eating vegan has become a lot more doable and delicious. Beyonce and Jay-Z have taken to encouraging their fans to make more vegan food choices, and with so many new vegan products hitting store shelves these days and more readily available recipes than ever before online, the hurdles of vegan eating are a lot less challenging now than they used to be. We’re even making lab-grown meat these days, notes health.com. Stats show the number of vegans continues to grow each year and quickly. Expect to see a lot more of this approach to eating in 2019. This non-psychoactive cannabis compound keeps gaining popularity, and we see no signs of that slowing down any time soon, particularly not when celebrities like Seth Rogan and Whoopi Goldberg (and on and on…) are praising it far and wide. CBD purportedly helps with everything from MS symptoms to headaches and plenty in between. Because of this, CBD oil has been sold at increasing rates over the last few years. More recently, CBD has been included as an ingredient in everything from drinks to chocolate. You can expect to see a lot more of this in 2019, especially with more states entering into various iterations of looser marijuana laws. She said that because celery is so fibrous and low in sugar, it doesn’t cause the kinds of crashes other juices are known to. Loaded with minerals, this juice is being credited by many for improved digestion, elimination, and inflammation levels, says usnews.com. There’s a reason why celebrities like Miranda Kerr and Kyle Richards have taken to this trendy juice, which gained a lot of momentum after being promoted by the Medical Medium. Speaking of inflammation, this is a term we can expect to see broadly referenced more frequently in 2019, too. It seems like everyone is attempting to address high inflammation levels these days, which can be done through various dietary means. Paleo is still very much a thing. Although people who adhere to paleo diets are often eating a lot of the same stuff as people on a Keto diet, the respective frameworks for these diets do differ from one another. People on a paleo diet — like Jessica Biel and Blake Lively — wind up eating far fewer carbs than those eating according to a standard American diet, but it’s not necessarily because they’re trying to reduce carbs drastically. Instead, the focus of this diet is to eat as much like our ancestors as possible and our ancestors simply didn’t have access to the kinds of processed carb-laden foods that we eat these days due to agriculture and mass manufacturing practices. The kinds of carbs people on paleo diet eat come from whole foods — things like vegetables and fruits. The thing about this diet, and all others, is that you have to really believe in the concept behind it to be able to refrain from non-ancestral foods long term.